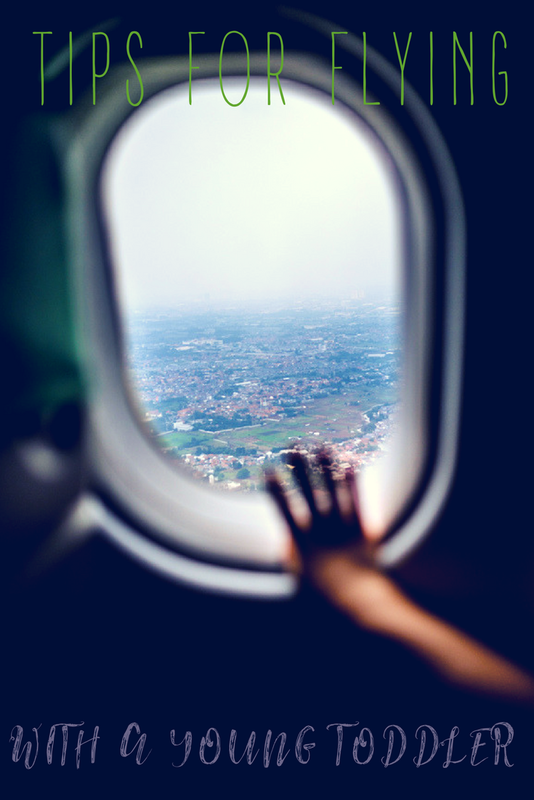 First off…if you are looking for the secret to how to ensure that your toddler doesn’t cry during a fourteen hour flight and immediately adjusts to the new time zone, keep on walking. I spent hours scouring the internet for that information before our last big trip and couldn’t find it. There were tips for babies (but mine was (mostly) weaned so feeding him during takeoff and landing was not an option) and older toddlers (but mine isn’t interested in crayons or stickers, so those are out). But nothing about how to handle a 13 month old who had just recently started walking. Overall the actual flight went pretty well. He cried some (particular during the first leg from Prague to Frankfurt when we were stuck on the tarmac for an hour and half) but also slept a little and was overall pretty well behaved. Here’s what helped us and might help you too. Buy him his own seat and sit in Economy Plus. I know that for many families buying a seat for a one year old is cost prohibitive, or at least feels wasteful since you don’t actually have to do it. But in my opinion it is very worth it if you can afford it. Even more so for us since we also travel with our dog. By getting him his own seat and sitting in the slightly roomier section of the plane he could move around more, my husband and I were able to rest a little, and we were all a little less grumpy. Bring age-appropriate and travel-friendly toys. The number of toys can vary but a good rule of thumb is one toy for every hour that you expect your child to be awake. (Not an easy thing to figure out if you don’t fly very often, but I’d say that if your child normally naps 3 hours during the day, plan on 2 hours of naps during the trip–regardless of whether it is a daytime or nighttime flight. Maybe you’ll get lucky and your child will sleep a lot during the flight but that seems to be pretty rare.) As for what to bring, my favorite toys are ones that have only one part (so that if your child throws the toy you aren’t chasing down multiple pieces) and that can be played with in multiple ways (this way you might be able to bring fewer toys). LO was 12.5-13.5 during our last trip so we brought a Try-Angle and a turtle-shaped buckle pillow as our main toys. One of the nice things about both of these is that they will grow with him–for example, my son doesn’t quite know how to buckle/unbuckle yet but he likes to cuddle with “Tammy” now and will do the buckling when he’s a little older. We also had a couple books and smaller toys, for a total of about 5. That’s a little less than the rule of thumb would call for, but the Try-Angle can be played with 5 different ways. Bring plenty of Puffs and other snacks. We try not to give LO too many Puffs when we’re home since he doesn’t need to work on his pincer grasp and they are a little too junky, but they are an absolute necessity for travel, whether by plane or car, because often they are the only thing that keeps him quiet when he’d rather be screaming. LO eats a lot but one container is enough for a trip from Seattle to Prague (or back) with some left over so he gets a treat for a couple days after we get to our destination. In addition to the crunchy finger food snack I also bring 3-5 baby food pouches (even though he doesn’t usually eat baby food) just in case he gets really hungry while the fasten seatbelt sign is on. Let him play on the floor and walk the aisles. At this age LO is not going to sit still for very long. One of the advantages of Economy Plus is that there is room at our feet for him to play with the dog a little but when he gets bored with that we walk laps up and down the aisles–sometimes for an hour at a time. I’d usually rather be doing almost anything else but if this is what makes him happy, I’ll just go along with it. Allow a little bit of screen time, even if you don’t at home. I know this one will be controversial. I was firmly against screen time (other than for Skyping with the grandparents) while I was pregnant and until my son was about 8 months old or so. Suddenly he started screaming every time we were in the car and the only way to get him to stop was to show him videos of himself. So now, while I don’t usually let him watch TV or play on the iPad, I do when we are traveling and I need him to stay seated. In addition to videos of himself he really likes the Drawing Desk app (available from the App Store). And on the flight to Seattle? He and my husband watched Secret Life of Pets, although with a toddler’s attention span it took about five hours and he didn’t see the ending. Don’t forget lots of diapers and changes of clothes! More specifically, I bring 1-2 full changes of clothes (tights, onesie, pants, and shirt) plus pajamas for LO along with 1.5 times as many diapers as I think we’ll need, just in case we get delayed or he goes to the bathroom more often than usual. Although most people will tell you to also bring a change of clothes for yourself, I consider this one optional. Yes, it’s nice if your luggage gets lost but with all the other stuff you have to bring when you have a baby, you might not have room. I’m sure that the first time I get vomited or pooped on during a flight I’ll change my tune and always pack spare clothes, but I’ve been lucky so far and haven’t actually had to use the spare clothes when I pack them. Try not to stress. Easier said than done, I know. But while traveling may never be the same again (Oh how I miss the days of watching a movie, reading a book, and sleeping on the plane!) you gotta do what you gotta do. LO is pretty well behaved but he still cries on planes, yet I’m not about to bring gifts for the other passengers or anything like that. The way I see it, he’s a baby and he is going to cry. If people have a problem with that they need to get over it or fly private. And the truth is, most people are fine with it. He loves to make friends with the other passengers and many of them like to make faces at him–and only a couple have given me dirty looks. So while I do try to calm him when he’s upset (just like I do at home) it’s more for him and me (and my husband) than it is for the other passengers. Of course, getting there is only half the battle. Then the real fun starts–jetlag! I found a number of resources on how to deal with short time changes (~3 hours) but only one on long-haul travel with a (older) toddler. I wasn’t sure if I was missing something as a result, but I also knew that I could not survive another 10 day streak of LO reversing his nights and days (which is what happened when we moved here at seven months old). We may have just gotten lucky, but things went so well. Especially when you consider what happened in July. So while it might have just been luck, here are some thoughts on what went well, all of which I recommend to you. Try to shift babe’s schedule to that of your destination as much as possible during the journey. I read several recommendations to do this before you left home, but they were always talking about much shorter time differences (3-4 hours). And in my opinion doing it beforehand is not an option when you are facing a nine hour time difference. We got lucky, though, and during the main flight he magically fell asleep at 8:30 a.m. Seattle time–exactly when he usually took his first nap. So we decided to go with it, wake him up by 10 a.m., and then have him go down again at about 1 p.m.–which was conveniently during our drive from the airport to my aunt and uncle’s house where we were staying. “Force” your desired schedule on your child once you get to your destination. It’s true that you can’t force your child to sleep but with a little effort you can keep her from falling asleep too early or sleeping too long. So your first day in your destination, try your hardest to keep babe up until her normal bedtime (or at least close to it). And on the second day–which in my experience is the most difficult–don’t let her take longer naps than usual. In our case, that meant waking LO up after a 1.5 hour nap in the morning and a 2 hour nap in the afternoon. 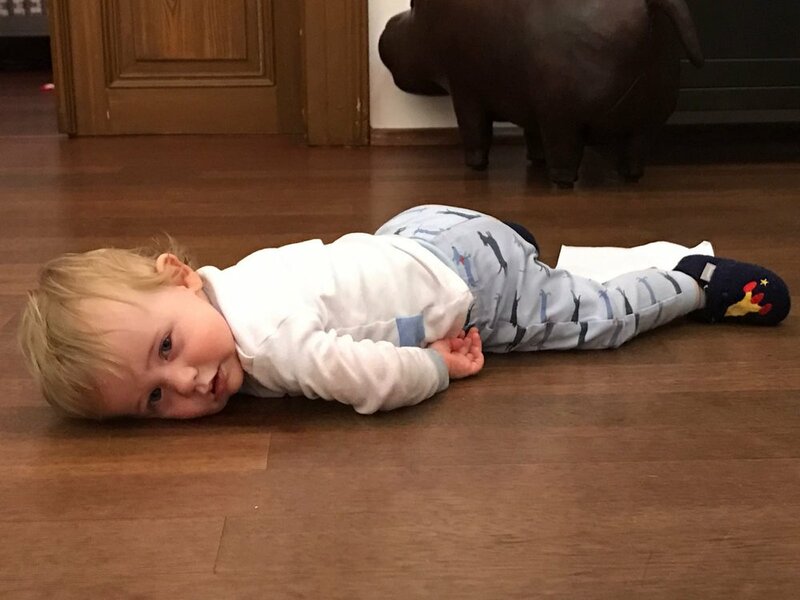 Whatever you do, do not do what I did when we moved to Prague and allow your baby to take a ten hour “nap” on your first full day in your destination. Keep lights and activity during night wakings mellow to encourage babe to go back to sleep. I’m not going to lie. Your baby will wake up at odd hours of the night, if not the first night then the second. But if you handle it well, the night wakings will quickly disappear; if you don’t they could go on for a week or more as they did when we moved to Prague. In my experience the easiest thing to do was to give LO a bottle of milk when he woke up. I was supposed to be weaning him off the bottle (oops) but frankly my sleep is much more important to me than any theoretical damage that using a bottle for an extra couple of weeks might cause. (It’s not that I don’t care about his teeth–I do–but I don’t think that the risk is that significant, so when I did a cost-benefit analysis the answer was obvious.) Most nights this was sufficient, but on the second night (especially the second night after we returned to Prague) it was never enough and he wanted to play. So I took him to a different room, turned the lights on low, and let him play for up to four hours until he was ready to go back down for a “nap.” It sucked. But at least it only happened once on each leg of the trip. So there you have it! Traveling with a toddler is hard work, but so worth it. Whether it is to visit friends and family like we did or get to know a new country and culture don’t let your little munchkin stop you from exploring the world. What is your experience traveling with a young toddler? Got any tips? Or maybe tips for traveling with a two year (which we’ll do again next fall)?